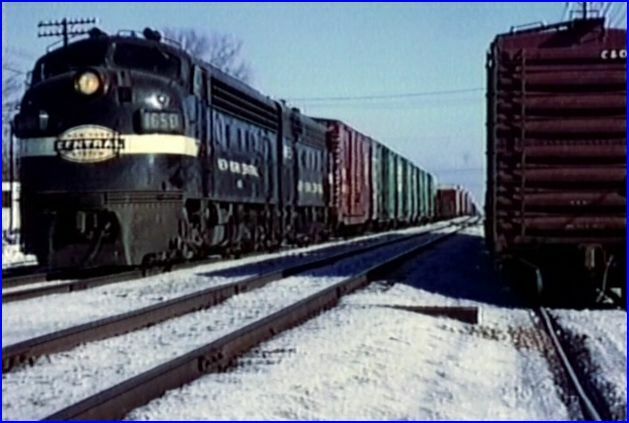 In 1967, Emery Gulash photographed the: C&O, DT&I, New York Central , Norfolk & Western, and more in this dvd. 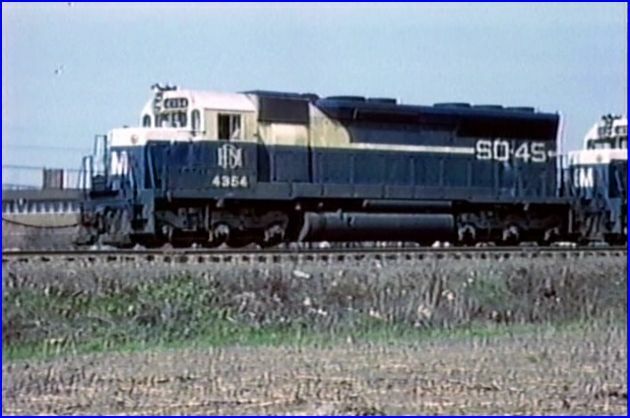 This is a true classic of mid-sixties era railroading. There is much to see in this film. The Michigan area has an excellent assortment of trains. The vintage locomotives and rolling stock are fantastic. Engineer of a C&O GP30 grabs his train orders. 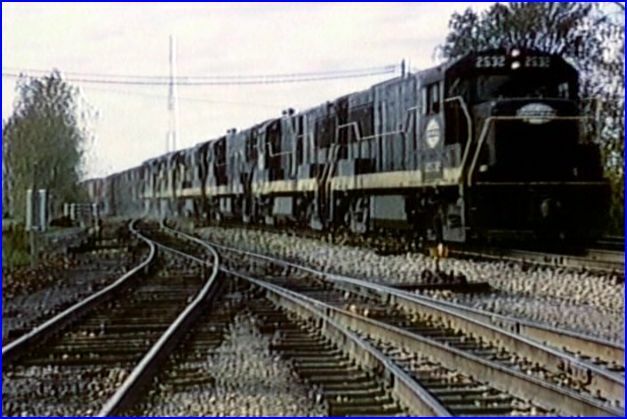 New York Central has numerous GE U- series Locomotives in service. Quality. Pristine, 16 mm film shot by one of the best cinematographers of the time. Narration is good. The cinematography is top shelf! 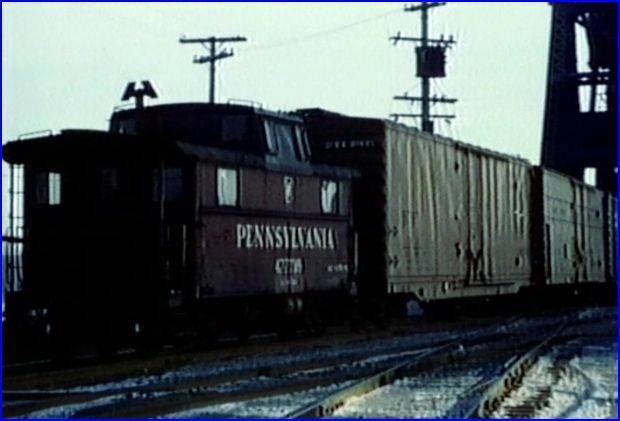 Pennsylvania Railroad in it’s last year before Penn Central. 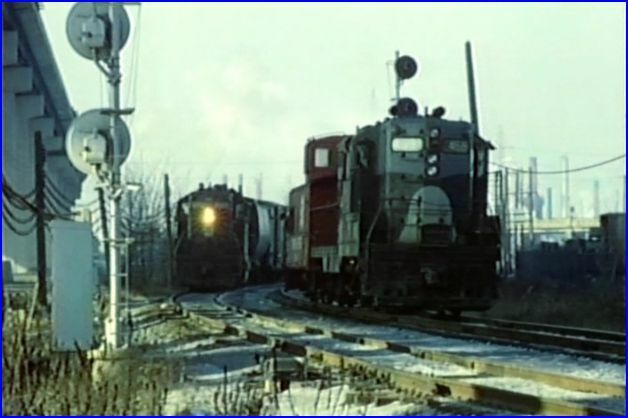 At Flatrock, a lone GP7 has switching chores, at a steel mill. 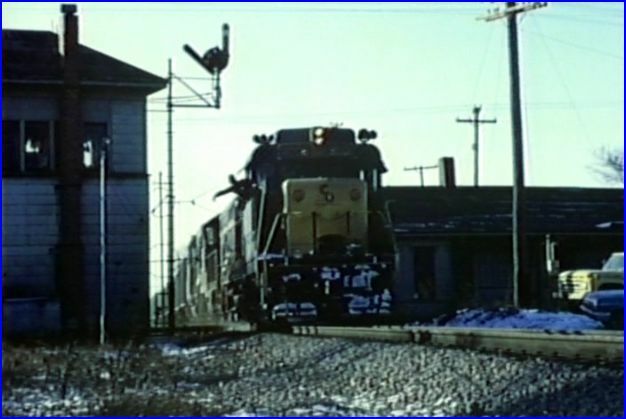 Lucky railfans in action, circa 1967. 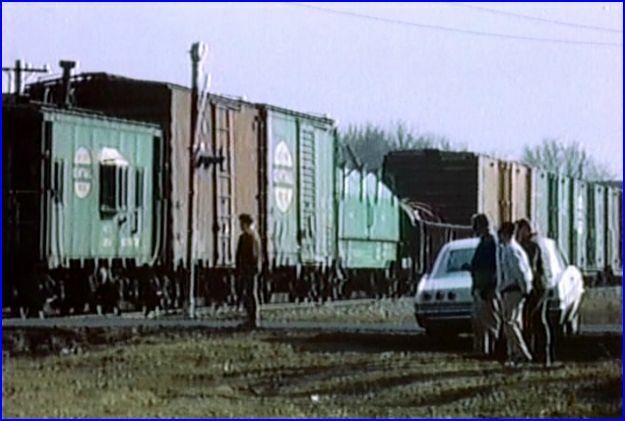 Model railroaders will find many freight cars, are included in the film. 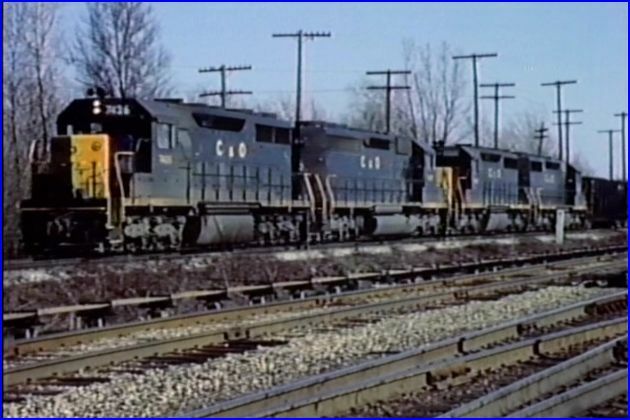 C&O SD40 power with a unit coal train. 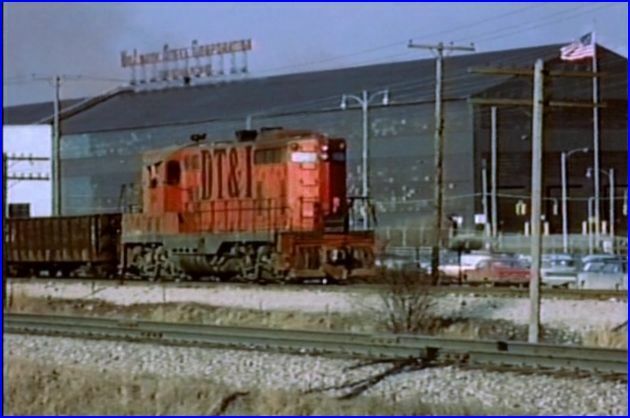 Back in 1967, even unit coal trains had a caboose! Demonstrator sets from the three major builders appear in this show. Norfolk and Western GP9 action at River Rouge. 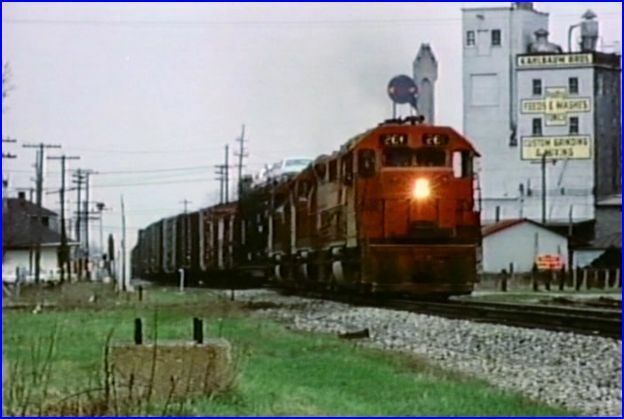 Note the former Wabash diesel. River Rouge Bridge hosts a variety of trains. Excellent action from some classic Fallen Flag railroads. This one is a must have for the railfan and model railroader. This entry was posted in ATVR Reviews, Green Frog Prod. 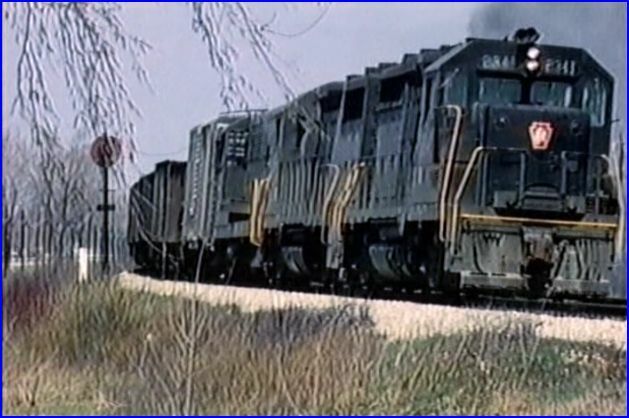 and tagged American Train Video Reviews, C&O, Emery Gulash, New York Central, Norfolk & Western, Railroad, Santa Fe, Train DVD, transportation by William J. Hudson. Bookmark the permalink.